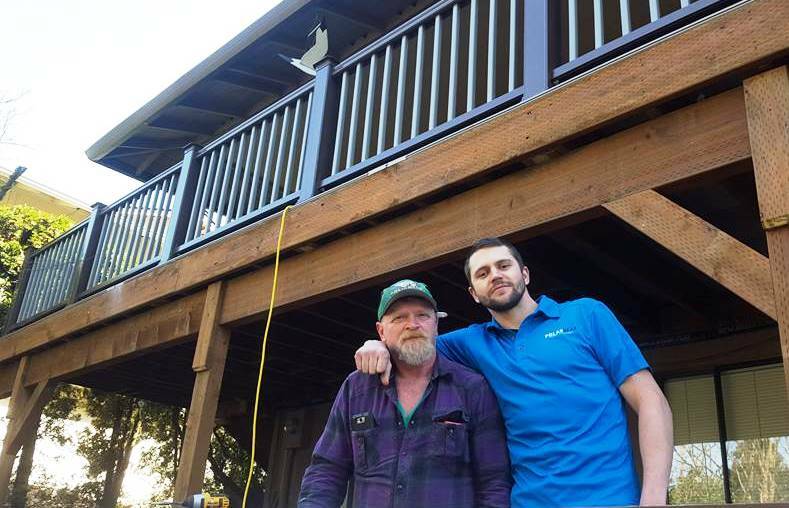 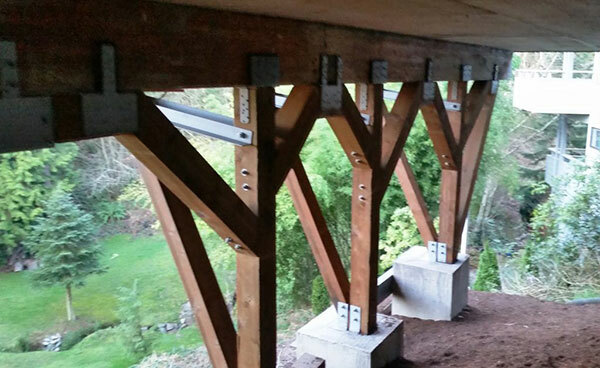 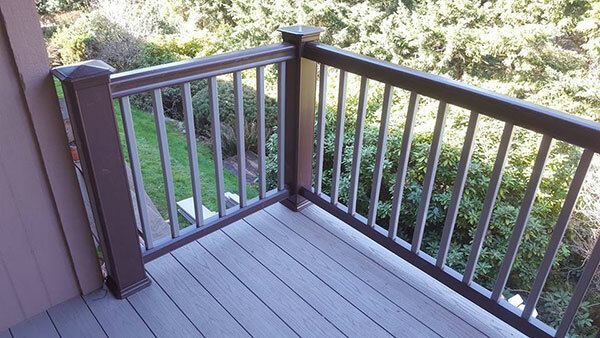 Our master carpenters specialize in custom-built decks for beauty and durability. 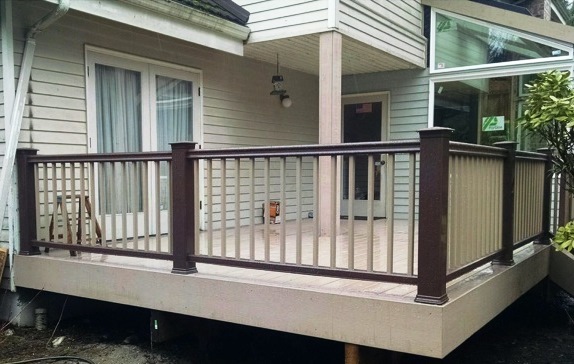 Whether you’ve been thinking about adding, replacing, or expanding a pre-existing deck, we have several options to suit your style and home. 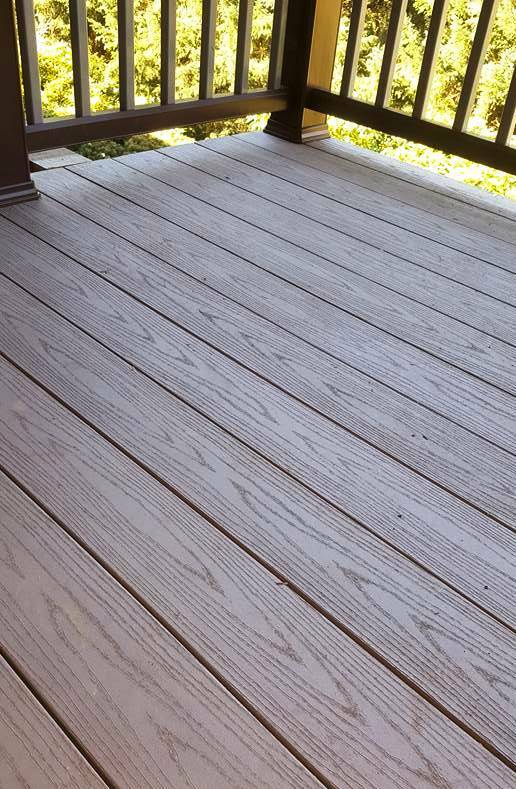 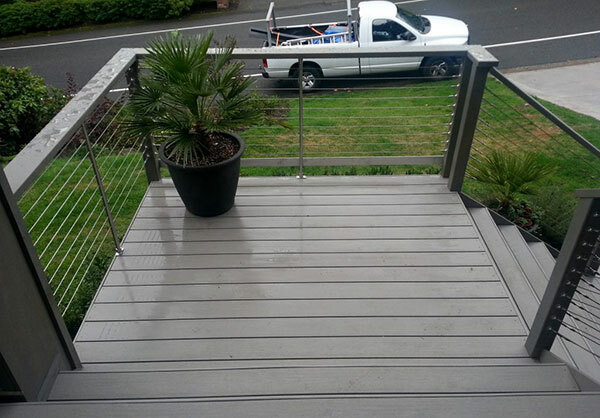 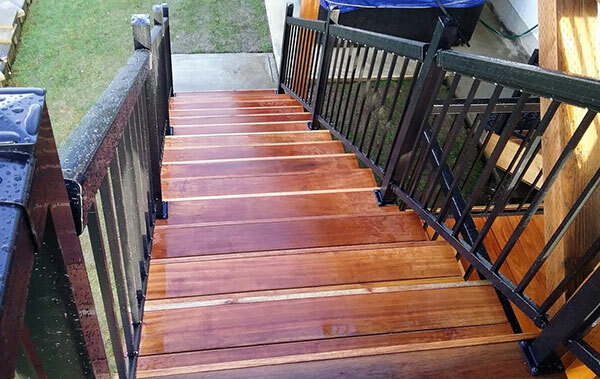 As a NW decking contractor, we know the damage that all of our rain and saltwater can have on your decking. 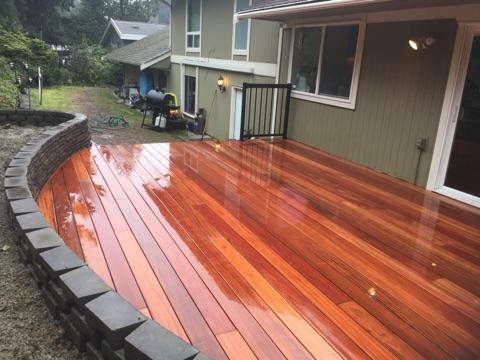 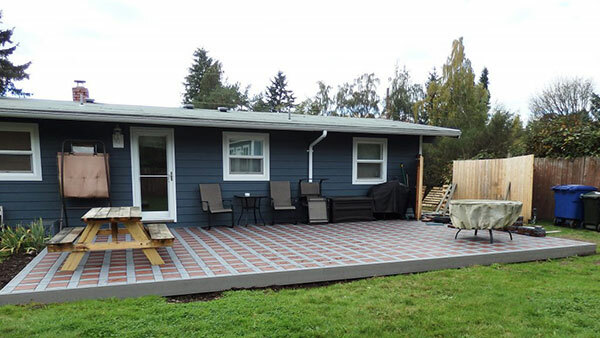 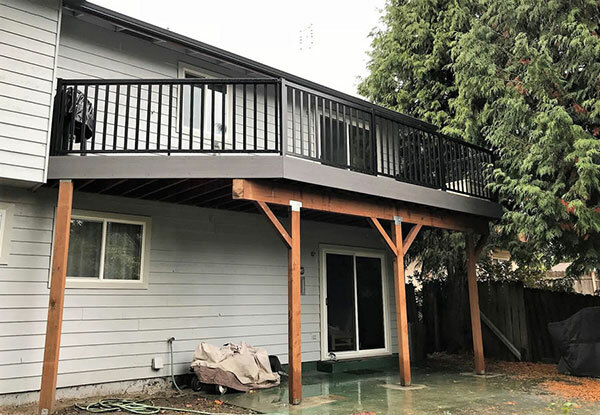 Stripping, restaining, resealing, repainting until your wood deck inevitability succumbs to rot is the challenge we face in Western Washington. 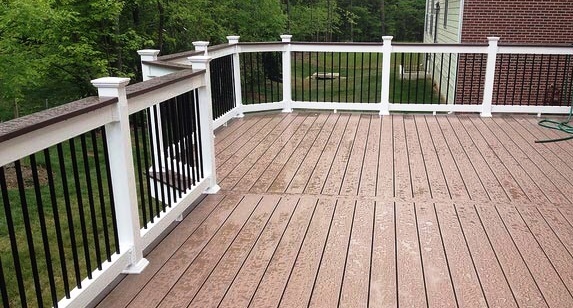 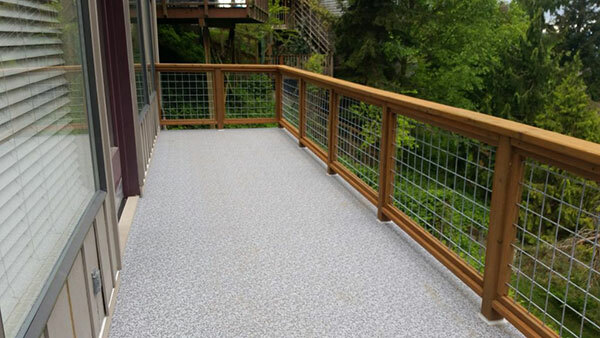 Our commitment to only having lifetime, no-maintenance products extends to our decks as well! 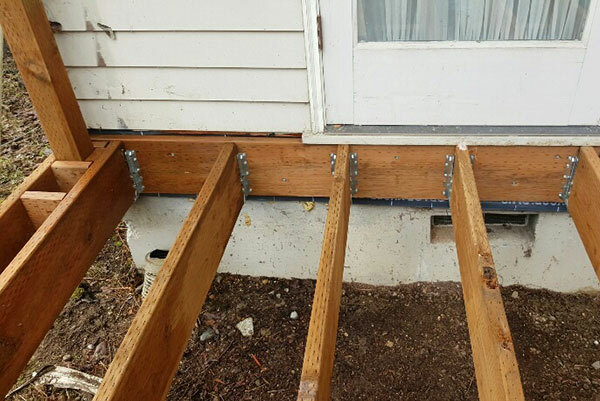 Even many of the composite options available today may be low-maintenance but they are not impervious to water intrusion and dry rot. 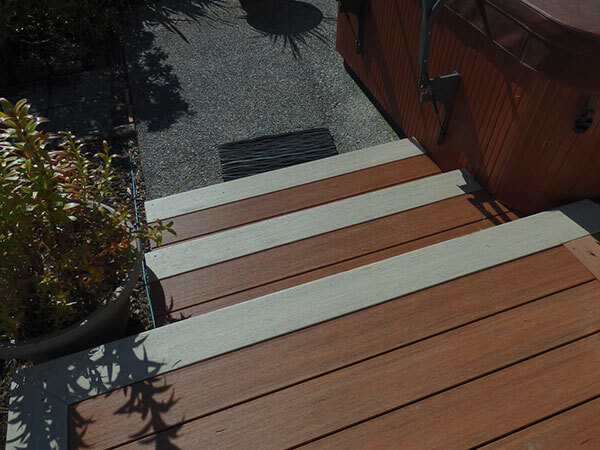 Our 100% PVC solutions by Azek is the most beautiful and long-lasting product available on the market. 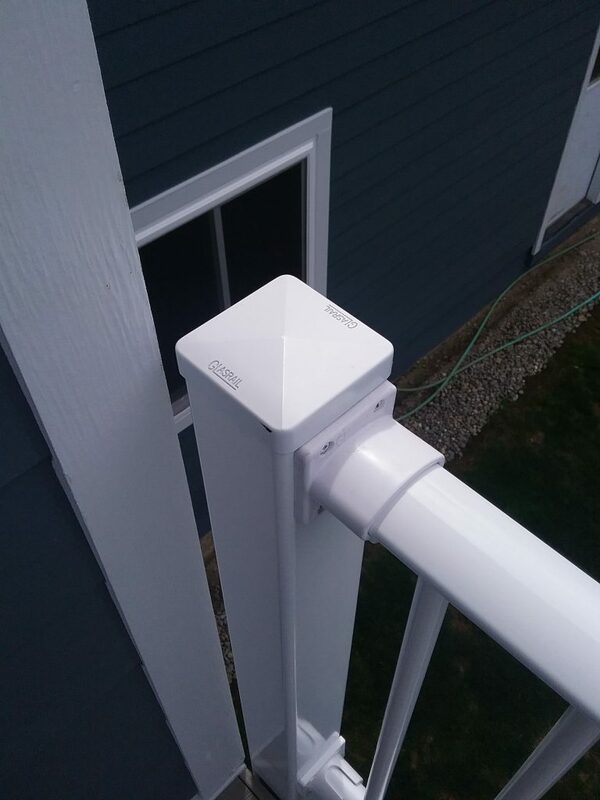 It is the only thing we would put on our home and we wouldn’t recommend anything else for our customers. 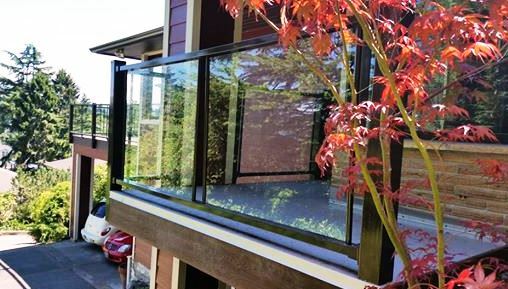 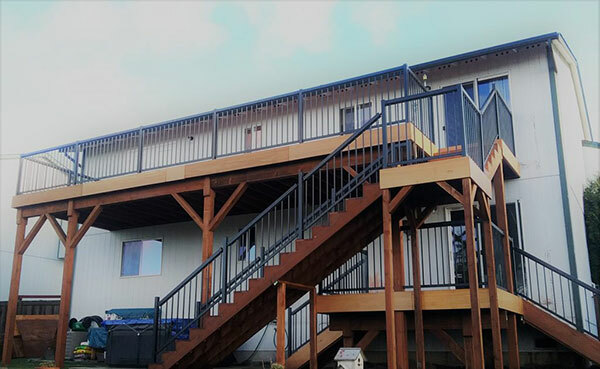 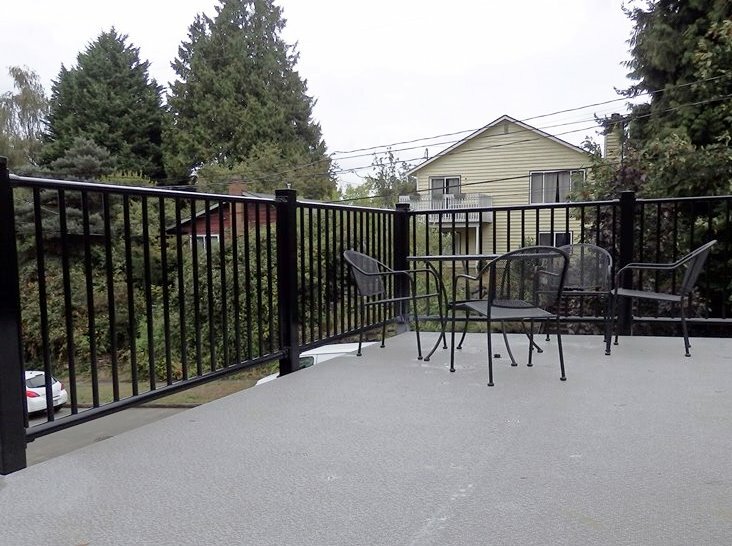 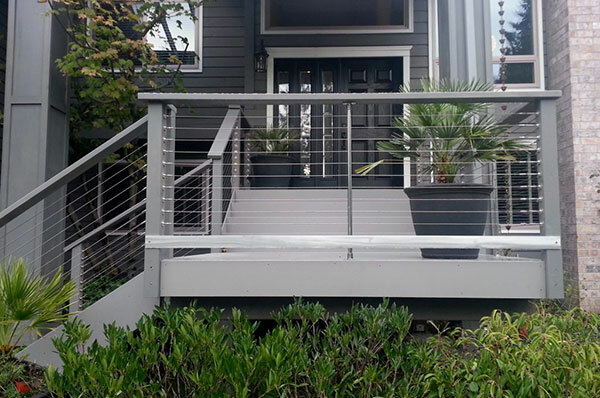 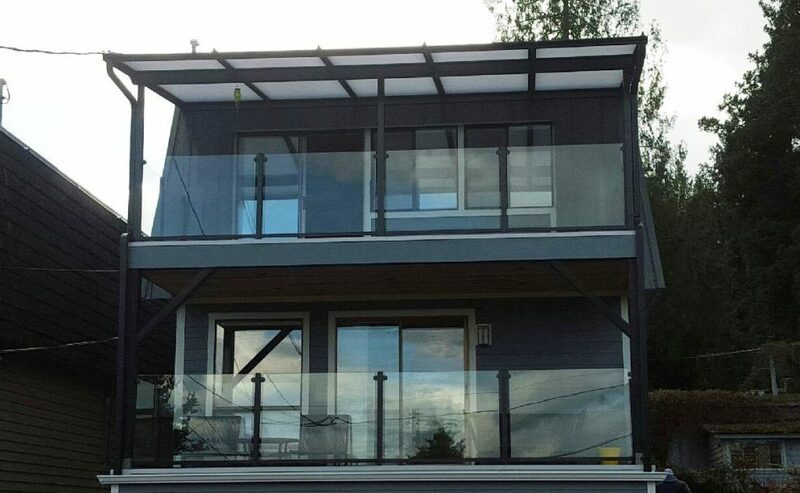 We also have a wide selection of railing systems- whether you want a beautiful look with glass, a traditional style style with balusters as well as sleek cable rail systems as well. 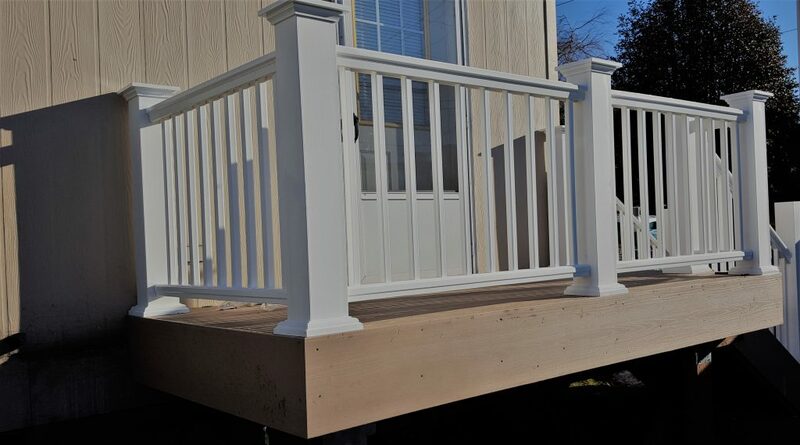 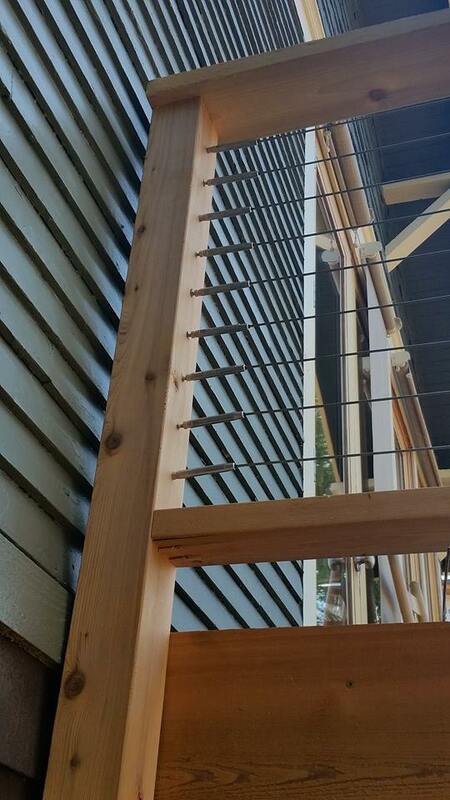 Many lighting options are also available to accent the posts and rails, and if your new deck has stairs we can add lights to the risers for safety and visibility. 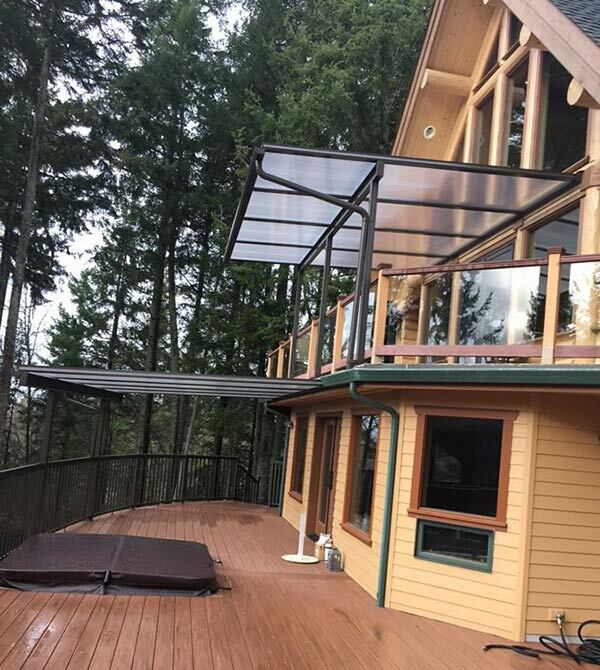 Enjoy your deck or patio year round with a no-maintenance patio cover system in a variety of colors and options! 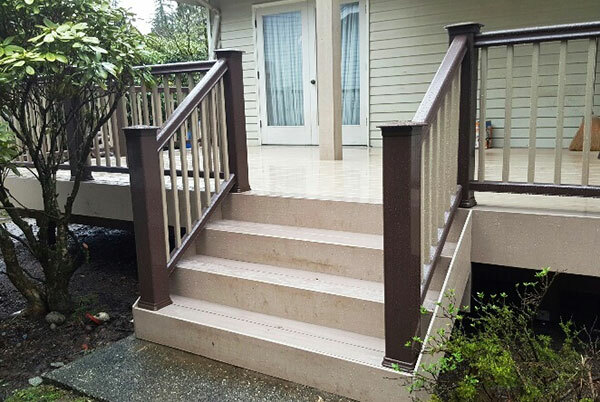 We are also familiar with ADA requirements for building handicap accessible decks and ramps that will blend style with your home. 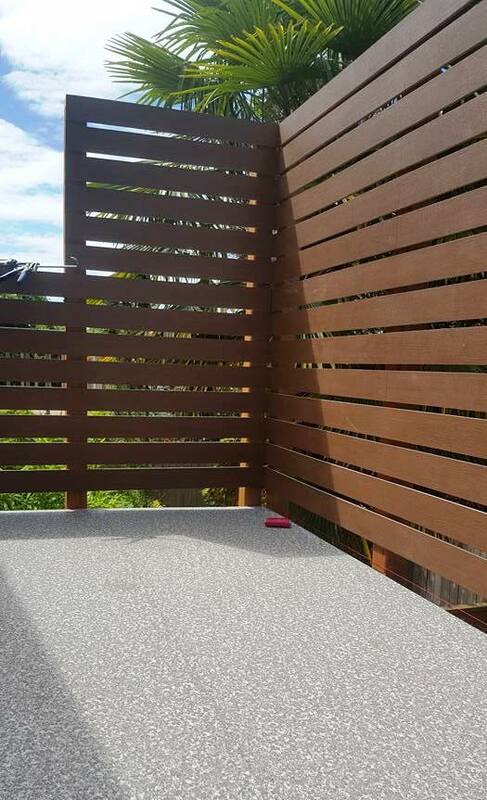 We can cover your new patio, or an existing one, with a beautiful and durable poly carbonate or metal awning. 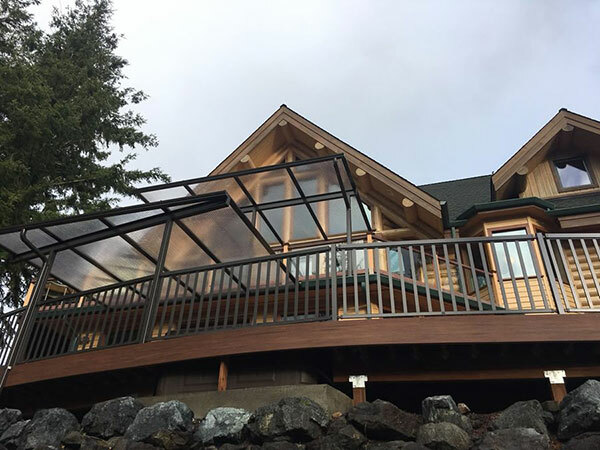 Polar Bear awnings are a great way to enjoy your yard and the outdoors while providing protection from the rain or hot sun. 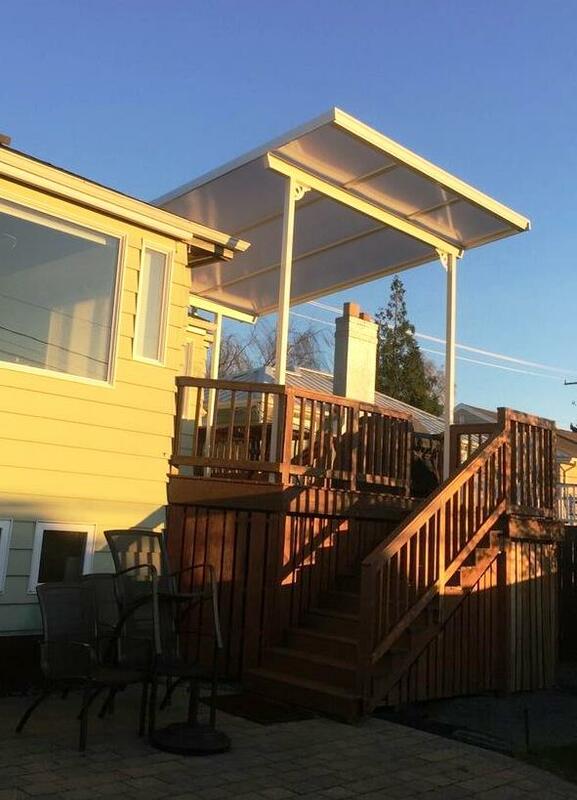 We also offer awnings that filter the sunshine, keeping your family cool and comfortable. 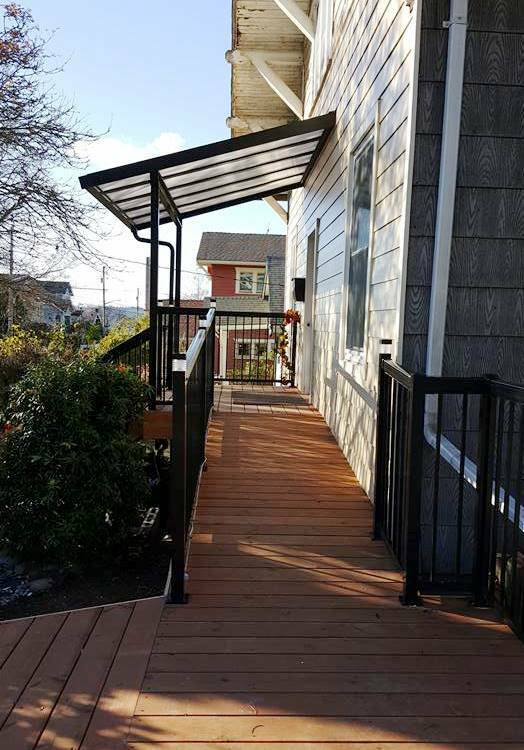 Awnings are also great for shielding your patio furniture from harsh UV rays.